It is almost unthinkable to include 'The Hitman' in this list, considering how much stock he puts in himself and his character during all of his shoot interviews. However, as much of an egotist as Hart comes across, it is hard to debate that that was a very common attitude in the era that he came to fame in. The early 90s in the WWE was a shark-tank, what with the company in financial doldrums following the steroid trials and the departure of big names such as Hogan, Warrior and Randy 'Macho Man' Savage. However, all wasn't lost as Bret Hart had become the biggest star in the company. What made him stand out was his comparatively smaller size and a highly efficient work rate between the ropes. Those weren't the only things that made him stand out from his fellow top names in the WWE at the time; for the first time ever, the top guy in the WWE wasn't booked to be a superhero all the time. While it was natural and common for the babyfaces to lose ground during the match and get in heat on the heel opponent, it was always a given that the face would get to make a strong comeback before he got the victory. However, it was Bret who, for the first time, didn't mind looking like he won his matches as a fluke, with many of his victories coming via roll-ups, small packages and pinning combinations on much larger men. It wasn't the ideal way to win when trying to gain credibility as a winning people's champion, but because Bret was so believable in what he did, he laid out the blueprint for future smaller stars such as Shawn Michaels, Rey Mysterio and the others. Another special characteristic about Bret was his willingness to lose the 'big ones'; he seemed to lose all the big matches during his years as the WWE's top guy, like the WM matches against Yokozuna, HBK and Bob Backlund. This is another name that could potentially raise a lot of eyebrows on this list, but really shouldn't. 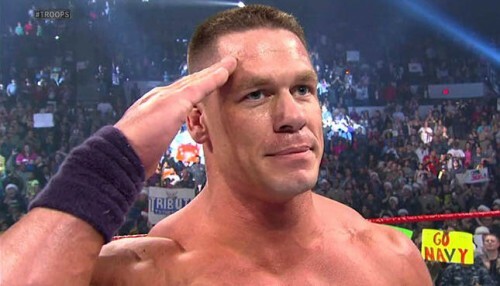 Cena, who has been the company's go-to guy for over a decade, has also been among the most unselfish performers ever to step foot in a WWE ring. This is especially true considering the fact that most of his following is made up of impressionable kids who look at the WWE with wonder and as a 'real sport'. Now, a top guy usually wins more than he loses, and Cena is no different. However, the way he wins his matches is very different than say, a Hulk Hogan. It is safe to say that Kevin Owens and Cesaro are made guys today because of their matches against a game Cena; their battles always went always back and forth, unlike the squash-like nature of the matches that a Brock Lesnar has. Despite all the criticism Cena gets, if you look at all the names who became stars working with him or the ones whom he lost to, it is a 'who's who' list of performers. CM Punk, Daniel Bryan, Brock Lesnar, The Rock, Seth Rollins, Rusev have all been at the receiving end of Cena's generosity in the ring. The Rock is undoubtedly the sole exception in the whole business, if one can say that, who became a huge star despite having a less-than-stellar win-loss record. In the 'Attitude era' where the business was way less exposed than it is today, wins and losses mattered and guys took their spots seriously. Rarely, if ever, did you see a big star lose a big match, especially the babyfaces. 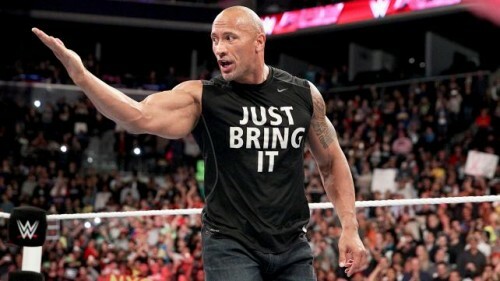 However, The Rock was a third generation star and understood the business better than anybody, and it seemed like the popularity of 'The Great One' grew each time he lost to a heel and came back with a chip on his shoulder. More importantly, despite being a large man (265lbs), The Rock sold like a much smaller man, even against opponents that weren't necessarily big guys - wrestlers such as Chris Jericho, Kurt Angle and Chris Benoit. It was this unselfish nature of his that endeared him to the wrestlers backstage who, till date, only have the best things to say about him and his run at the top. Even when he had to put his wrestling career on the backburner for a bit, The Rock lost the big one at Wrestlemania 20 following which he wasn't seen for seven years. And when he made a comeback in his second outing, in true Rock fashion, he capped it off by losing and 'doing the honours' for John Cena. That is why, if you smell what The Rock is all about, you will realise it is greatness at its unselfish best. Arguably the greatest WWE star of all time, if you ever needed to know how unselfish and how much of a 'company guy' The Undertaker is, just take a look at his championship resume. 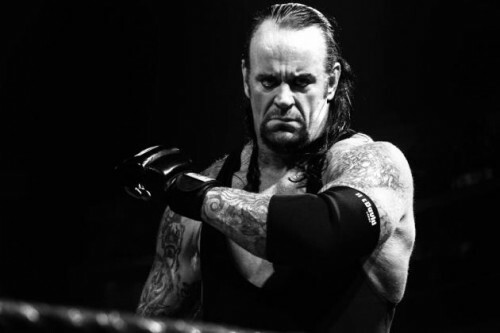 In his 25 years with the company, the longest for any active member, Taker has won the top prize only six times, despite having worked at the top for most of his career. You will never come across a story where Mark Callaway refused to do business at any point or do anything to hamper the image of the WWE. Given the credibility of the Undertaker character, it is no surprise that anybody who works with The Phenom gets an instant boost like no other. Be it Kane, Great Khali, Brock Lesnar or even The Shield, when it comes to getting one over the most over superstar on the roster, Taker has always been a true professional about it. There isn't a single other star on the roster who can claim to have put over more talent in the WWE than Y2J Chris Jericho has in his 16-year career. 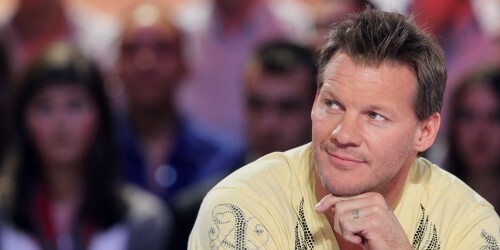 Jericho took a while, close to nine years, to really come into his own as the top star in the WWE. But when he did, he was the most hated heel in the business and had amazingly effective programs against the likes of perennial faces like Shawn Michaels and Rey Mysterio. In his interviews Jericho has always brought up how he had to go through the system coming up, wherein the older guys wouldn't want to do business and give the rub to the younger guys when it was time. However, instead of allowing that to make him one of the bitter old veterans, Y2J has been able to keep his relevance intact in today's day & age, by putting over strong talents in CM Punk, Dolph Ziggler, Bray Wyatt among others. At this stage of his career, it is safe to say that Jericho is more of a decorated 'job guy'. But just the fact that he is willing to do that shows the respect he has towards the road he travelled on his way to the top of the WWE.